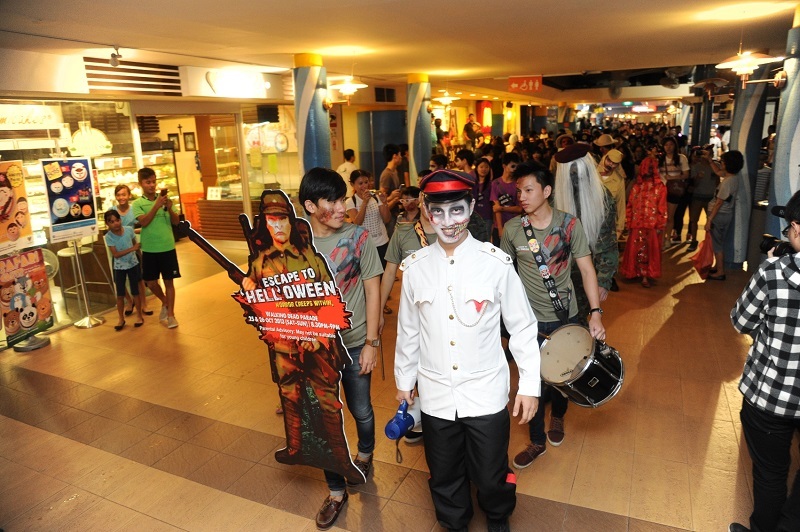 Take a spooky walk with Downtown East this Halloween! 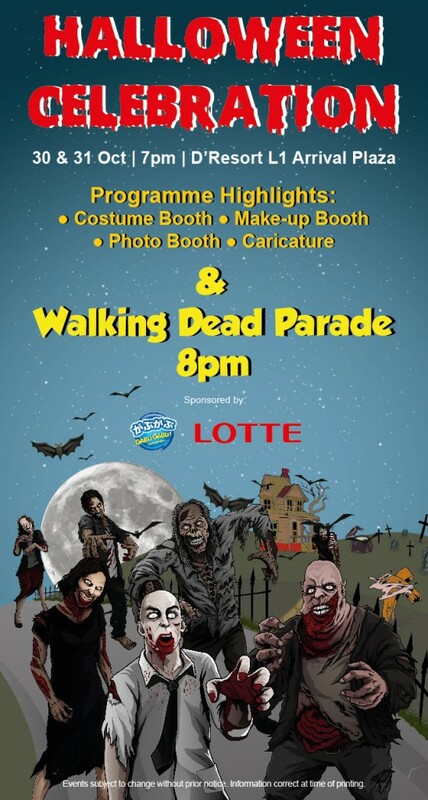 Come dressed in your scariest outfits and be a part of the Parade of the Dead with Downtown East. The Parade will start off at a brand new venue, D’Resort and wind round the perimeter of the new resort. Throughout the route, there will be scares aplenty as twisted fairytale characters make their gruesome appearance. Does Little Red Riding Hood have a dark secret underneath her hood, and is Snow White really just waiting for her prince to appear or is there more than meets the eye? Come and see if you can make it through to find a happily ever after, or will you be stuck in a nightmarish bind. Another part of the Parade of the Dead will see the familiar skeletons of the Spanish Day of the Dead, or Dia de los Muertos, with the decorated skulls and oversized skeletons props. 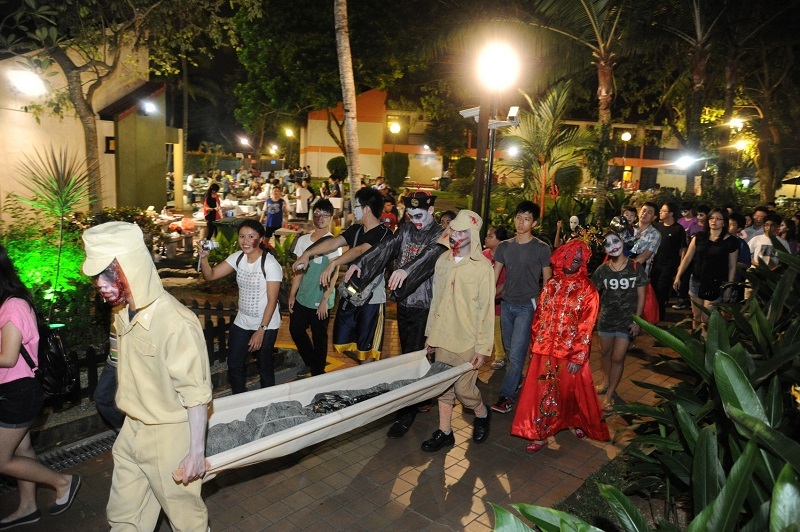 But the Parade of the Dead is not all that guests can expect at Downtown East. 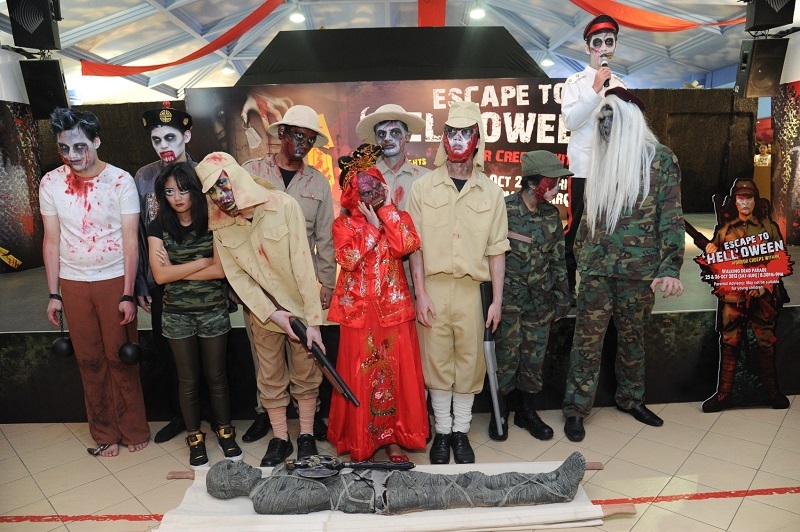 There will also be other peek-a-boo thrills awaiting them at the lobby of Downtown East, where nothing is quite what they seem. For further information, visit Downtown East website.